This is a guest post by Kathlika Thomas, head writer for the IT Project Blog. Impromptu project meetings are easy enough to schedule and can be useful, especially for getting quick responses from a client or from a technical resource when needed. However, ad hoc sessions can be time wasters, too. More often than not, the wrong people are invited and not enough time is spent on planning out a course of action before the meeting begins. To address these issues, a good agenda and list of things to tackle during your session is key. But what exactly should be in your team meeting agenda? It’s a question that may seem trivial but the answer strikes at the heart of great project management since efficient information gathering is key to a project’s continued progress. Here are a few tips for managing your project meetings and a meeting outline that you can use over and over on your engagements. Ideally, schedule your meetings at least 48 hours in advance. Depending on the pace of your project and your intended participants, this window may be larger or smaller. For example, it may require a week or more to get on a client executive’s calendar. And a rapid iteration project may only require a day for scheduling. Nonetheless, plan ahead! Additionally, think about and document in the meeting invite pre-work that needs to be completed by you or your participants to make the meeting most productive. Do you need Developer Darlene to bring information about her progress or any issues she’s facing? Should Analyst Alex follow up with the business on any outstanding items before the meeting begins? Take time to be thoughtful about any pieces of information that will make your meeting the most useful for all those in attendance. 1. The Intro: Open your project meetings with a quick welcome and an overview of the purpose. Include follow-up items from the last meeting and what you intend to take away from the current meeting. 2. The Update: Discuss prepared items relevant to the meeting topic. Be sure to let team members know (ideally in the meeting invite) that they’ll be called on to add value to the meeting here. 3. The Plan: Cover agenda items in an organized fashion. Make sure to remain in control of your meeting and do your best to prevent off-topic conversations that do not address your meeting’s purpose. Table any irrelevant topics for the meeting’s conclusion (if there’s time) or for a later date and time. 4. Action Items: Review items that need to be addressed and completed after the meeting is over. Don’t leave these key items to chance: assign tasks to individuals, give due dates for completion, and discuss to whom the actual work is due once it’s completed. These items should be reviewed in the “Update” portion of your next meeting. 5. Any Other Business: If time allows, open project meetings up to general discussion of other items. This can be a great time to discuss major topics of interest and new issues since key participants may already be in attendance. Warning: Use this section of your meeting carefully and be respectful of people’s time! One suggestion is to ask users to dismiss themselves or to “drop off” the call if they have nothing to add here. As project manager, be sure to send out a meeting summary to participants who were not able to make it, to those who were assigned action items, and to stakeholders who may not have been invited but who are still keen on learning about what was discussed. Remember, it’s your job to make sure the productivity of your meeting is not wasted by a lack of follow-through. Keep in touch with team members to make sure there are no obstacles to action item completion and, if you have availability, offer to assist in facilitating any work required. 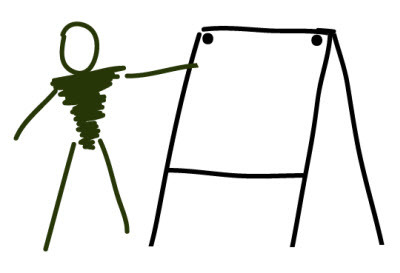 Try using the outline above when planning your next meeting and let us know how it goes! Productivity is sure to go through the roof when project meetings are well planned, smoothly executed, and followed-up on after they’re done. Kathlika Thomas, head writer for the IT Project Blog and guest writer for The Connection magazine, has over a decade of business analysis and project management experience. She has managed numerous international projects and has also developed several workshops and training programs. Project meetings are so painful sometimes. Thanks for sharing this, Kathlika! 🙂 Meeting preparation is really the key…nothing’s worse than when everyone shows up unprepared. I also like to have more frequent meetings with fewer people in each one. That ensures that everyone’s an active participant. It’s a bit more work for the PM but it avoids that “glazed over” look attendees sometimes get in their eyes when they have nothing to contribute.